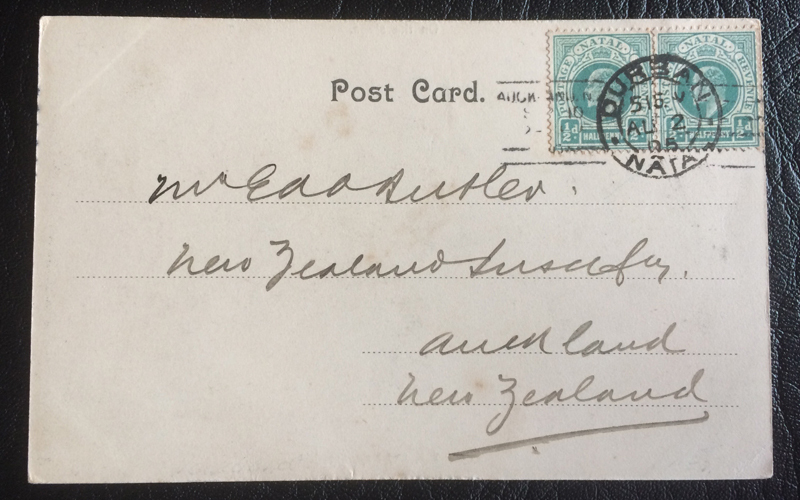 A postcard from Durban, Natal to Auckland, New Zealand. 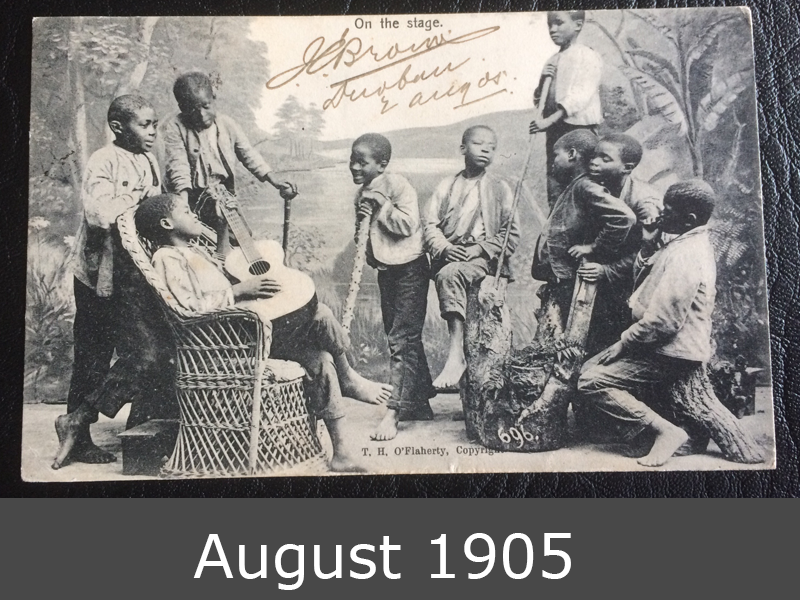 August 1905. Maybe the first boyband on a postcard? Such a wonderful image.